Powerful, Flexible WordPress Theme for organic, eco and beauty eCommerce enabled websites. Natura has incredible functionality and versatility with an abundance of customization options. 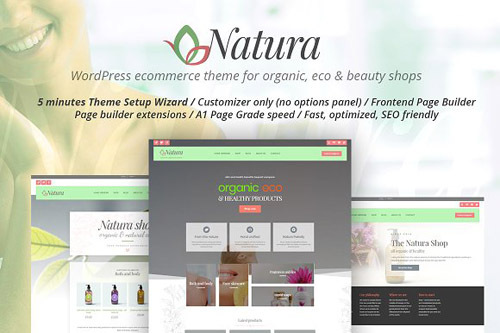 A true ecommerce WordPress theme Natura will provide your customers with a modern, elegant and fast website, without giving you the headaches involved with advanced coding. Theme Setup Wizard�- install demo content, exactly as in online theme demo, with minimum time and effort. 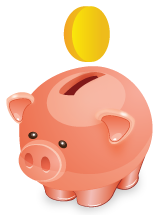 After installing and activating theme you will be prompted with Theme Setup Wizard which will guide you through the proces of theme setup . All the content, menus, widgets - everything will be set in 5 - 10 minutes (depending on your server / connection speed) to match everything exactly as in theme demo. Natura is easy to install with multiple page layouts pre-populated for you to update, is simple to maintain and has been developed with best practice WordPress philosophy.